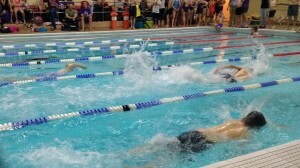 On Thursday February 8th RLSS Poole will run the clubs annual internal competition. The competition is designed to be a fun test of club members lifesaving skills and knowledge and is run in the following age groups. Each competitor must choose one Trump card event from the above list. In their Trump event, competitors will score double points. Please complete and submit the club champs entry form in the Members area of the club website (or see below) by Tuesday 1st February (1 week before the competition). The competition comprises of 3 different Category Zones. Each Zone contains 2 events, all events are mandatory i.e. competitors are required to compete in all 6 events. You may select one of the 6 events to play your Trump card, where you can double the points scored on that event. The choice of event for playing the TRUMP card must be made prior to the competition and may not be altered once the competition has started. Your age on the day of the competition!